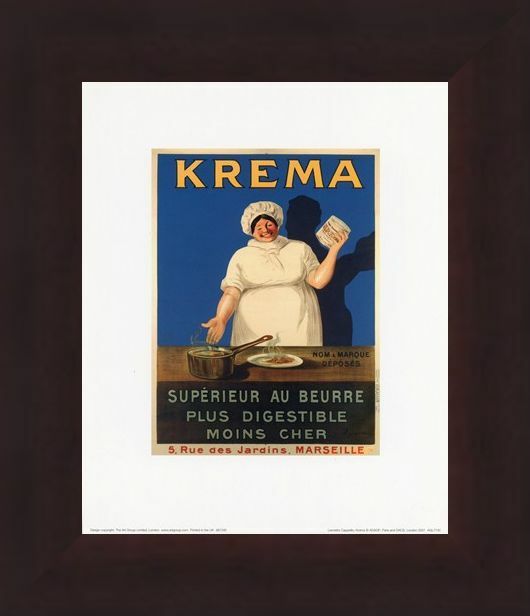 Art Print: This charming art print was created by one of the most influential advertising artists of the early 1900's; Italian painter Leonetto Cappiello. 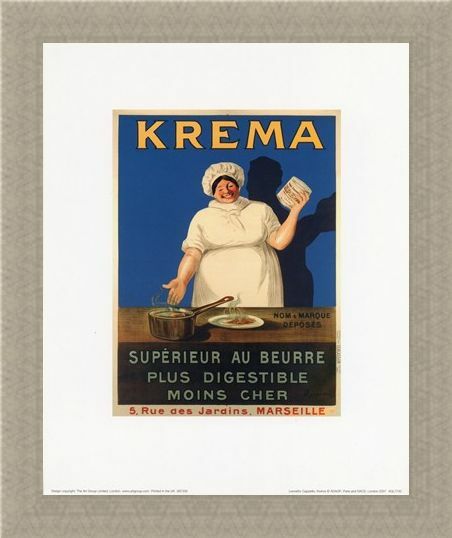 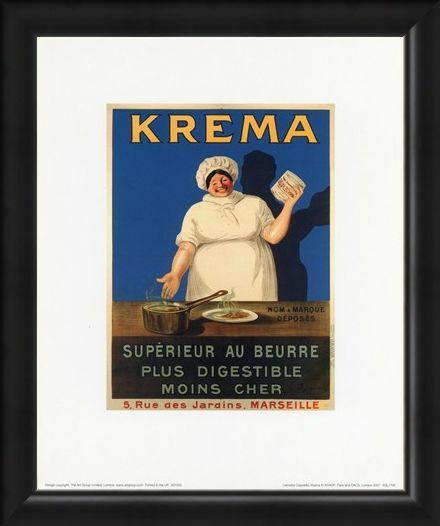 This print features the advertising art work for Krema, a French margarine which suggests to be better than butter by being more digestible and cheaper. 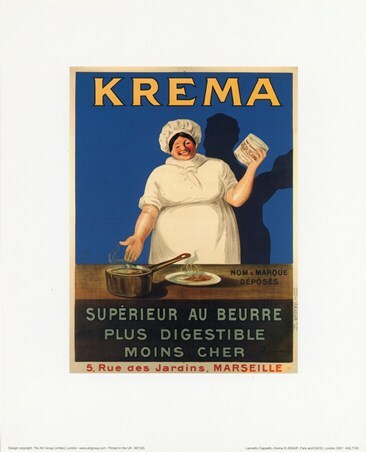 A smiling chef stands against a blue background and holds her hand towards a steaming saucepan as she holds a tin of Krema in her other hand. 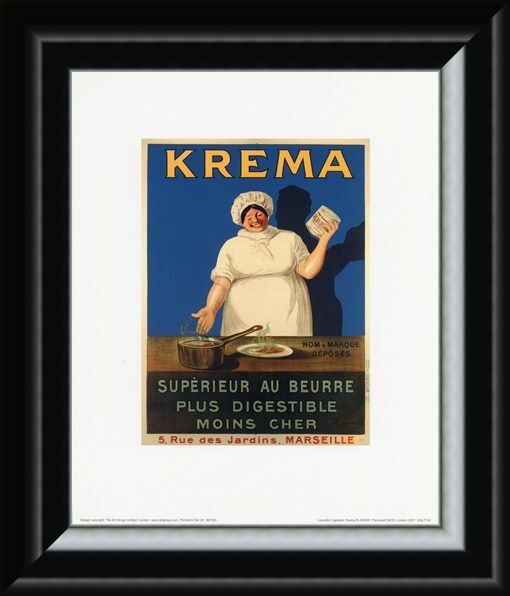 This wonderful French advertising print will make a vintage addition to your kitchen and add a lovely sense of home pride. 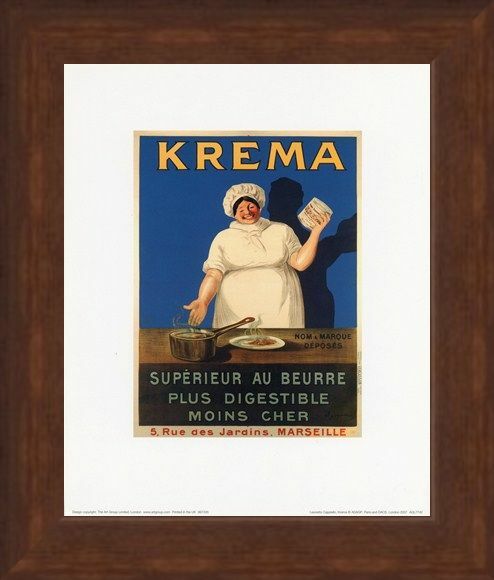 High quality, framed Krema, Leonetto Cappiello mini print with a bespoke frame by our custom framing service.